Last week we covered tips on renovating your kitchen and how important it is to keep the most used area in your home looking top notch. This week we are looking at possibly the second most used area in the home, your bathroom and they don’t need to be boring, functional areas. Today’s bathrooms are lavish areas where you can express your personal style through creative tile combinations, beautiful baths and stylish tap ware. There is no denying tiles are the best finish for a bathroom. Easy to clean, durable and so many colour options, it’s the perfect way to revamp any old bathroom. If the space is small go for large light tiles and grout-less for a modern sharp appearance. Ceramic tiles are affordable and come in a variety of colours and finishes, but if you are really looking to splash out check out porcelain. Always invest in sealing the grout (if budget allows) for longevity. 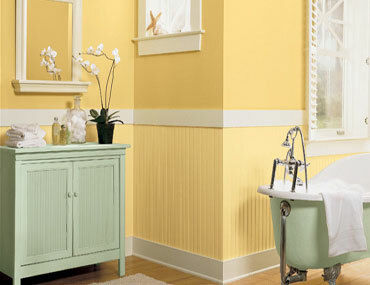 Painting your bathroom can lift it instantly, but don’t be fooled as this small area can be a little more tricky than it seems. High humidity, frequent use and poor ventilation makes the bathroom more susceptible to mould and mildew. You will need to select a wet area friendly paint that will help prevent mould build up over time. Walls will need to be cleaned thoroughly and all fittings removed before the job is started. When it comes to selecting colours, be sure it matches all of your existing colour schemes if you are not updating these as well. 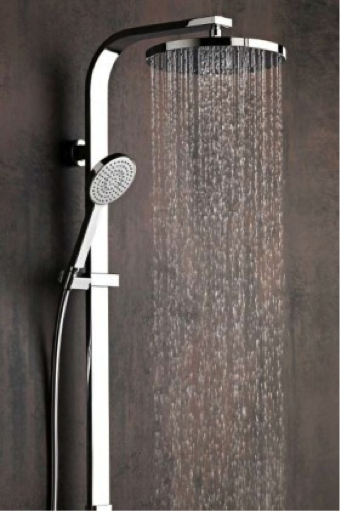 With so many options on the market, tap ware and shower heads are no longer an easy item to select. 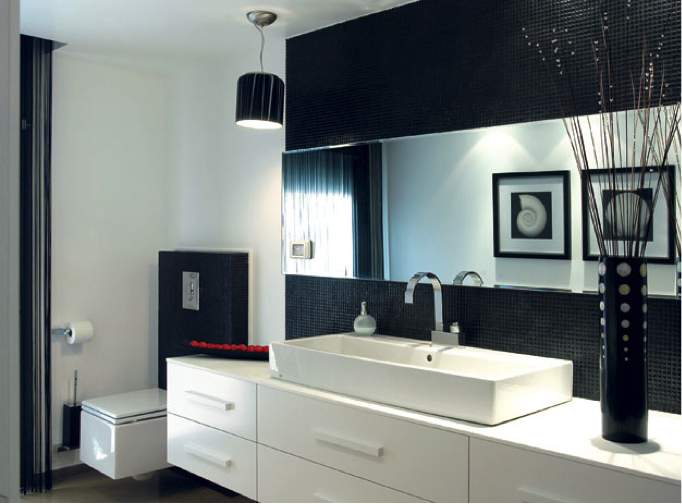 Consider first the style of your bathroom, are you going for a modern sleek look or a classic, embellished style. Tap ware is one area where cheapest is not always best, as high use and often the need for a professional to replace, means investing wisely first time round can save money in the long run. For showerheads the same principles apply, look for something water saving and if you want to make cleaning the shower easy look for a hand shower set that you can remove from the wall. Small spaces can be maximised by minimalist styles such as a frameless shower and an under-mounted sink however, luxury usually comes with the appropriate price tag! If frameless isn’t in your budget go for a metal frame that has slimmer lines. If you are looking to make a statement with your vanity, you can find beautiful stone basins and benches. For the budget makeover Laminex looks great and you can opt for a semi-recessed sink. A vanity to ceiling mirror can really make the area seem bigger. If you have a bit more space, then an elegant bath is what you are after. There are so many shapes and styles available to make your bathroom really stand out and have that resort feel. There are some fantastic options on the market and prices to suit even the leanest of budgets. Upgrading your bathroom can really add value to a home but it is a big job and unless you’re pretty well versed in home renovation it’s an area best not tackled by yourself. 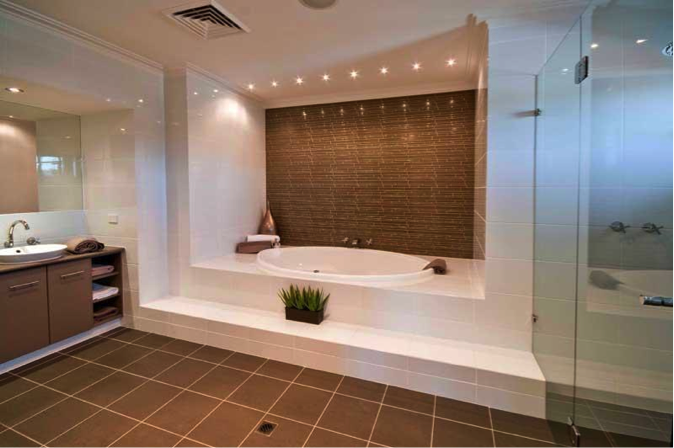 Talk to Hire a Hubby about options for helping you when upgrading your bathroom – call the boys on 1800 803 339.